At Signature, we pride ourselves on being a family unit, and you never fully understand the gravity of a situation until it affects one of your own. This past year, one of our agents Elizabeth Houlihan had a son, Patrick, who was born with a cleft lip and palate. Elizabeth bravely decided to document and share her journey both on her blog and through social media, so all of us have had the opportunity to follow Patrick’s story from the very beginning. As we watched him grow, we all felt a special bond towards Patrick so we decided we wanted to take action. We did a little research and came across Smile Rescue Fund for Kids, a Long Island based organization dedicated to helping kids with facial and craniofacial deformities. In honor of Patrick, we’ve decided to hold a polar plunge to raise money for The Smile Rescue Fund for Kids and help educate the community. 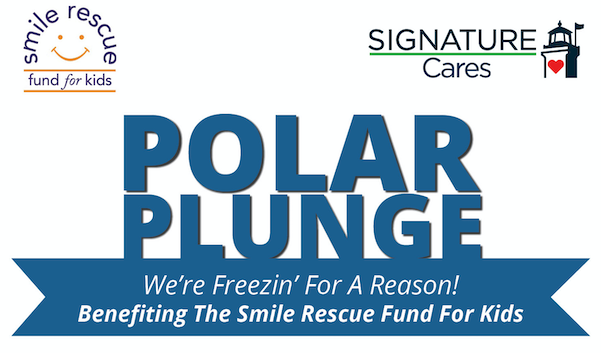 You can take the plunge with us (or cheer us on from shore) March 2nd at the Crescent Beach Club in Bayville to help support Patrick and The Smile Rescue Fund. Visit our Facebook event page for more info. Check in begins at 8:30, followed by a short reception featuring hot chocolate, bloody mary’s and mimosas, as well as light breakfast. Wether you take the plunge or not, all are welcome!